I was listening to the television the other day (not watching) and a successful entrepreneur was being interviewed about all of his success. I could not tell you who he was but I heard him say, “I think you have to be crazy in this day and age to not own an internet business.” I was not in a position to watch the television but his words resonated with me. He is right! If you too have made the decision to buy an online business that is already established, you need to figure out where you can find companies for sale. Fortunately, you can find businesses for sale through a number of different avenues online. Another option to consider is an online auction. They have listings that are similar to the online marketplaces, but you would then bid on the businesses that interest you the most. While you can find a number of options through the auctions, there is always the chance that someone else who is bidding against you could push up the price of the company to a point where it is no longer affordable for you. On the other hand, if you are a seller, this will give you a better indication of the value of the company as perceived by buyers, and it could net you a better price for the business. You could also choose to work with business brokers. The brokers will handle the work of vetting the websites and can let you know which ones would be the best option for you based on the amount of money you have available to spend. The brokers only get paid when the sale goes through, so they have an interest in helping you find the best possible site so that you actually go through with the purchase. If you go through a broker though, make sure that you choose someone trusted in the field. While it is easier to use the above types of services when you are trying to locate a business for sale that meets your needs, do not discount your own research. If you are interested in a company, you can research the company to get a better idea of how they are doing financially, which can make it easier to come up with a reasonable offer for purchasing. 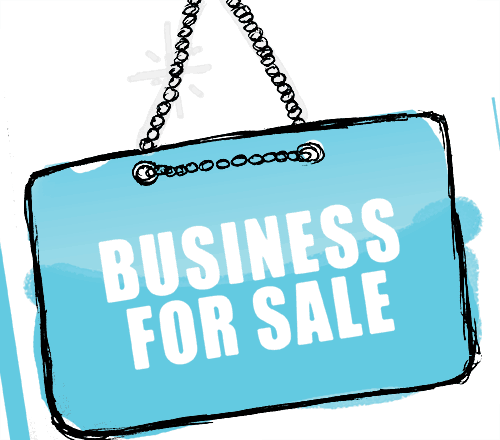 You can then approach the business on your own to see if the current owner is interested in selling. If they are, you can then begin the negotiation process. Some of the things you will want to check regarding the website include their backlink profile and their traffic. This will give you a better idea of how the business is doing, even beyond the financials. As you can see, there are plenty of ways that you can find an online business for sale. Before you start looking though, take the time to consider exactly how much you are willing to spend on a company, as well as the type of business you want to buy. Some of the online companies out there can nearly run themselves, while others require much more oversight from you. Previous articleShould Your Business Use An Employment Agency?